The Ruach Series delivers the hottest Jewish rock music from North America and Israel, featuring cutting-edge contemporary artists and their music. 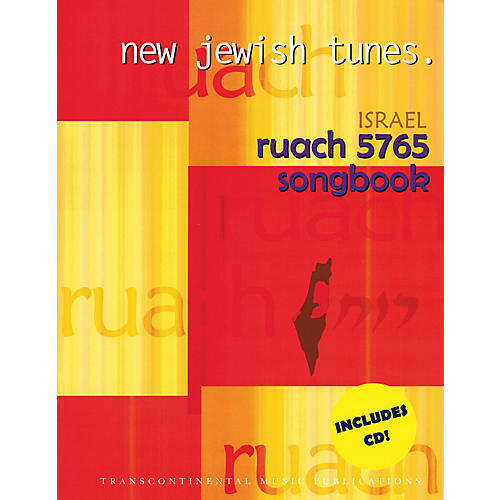 Ruach 5765: New Jewish Tunes Israel Songbook makes these tunes accessible to all musicians from the most accomplished to the up-and-coming! Build this music into your repertoire and make it part of your life. This edition features 13 songs by Stacy Beyer, Aviv Geffen, Dan Nicols, Sheva, Teapacks, and more.